Back in April 2014, CliffyB (Cliff Bleszinski) started a new company in Raleigh, NC by the name of Boss Key Studios. However, CliffyB tweeted out yesterday that Boss Key Studios is done, and he’s taking a break from game development for the foreseeable future. 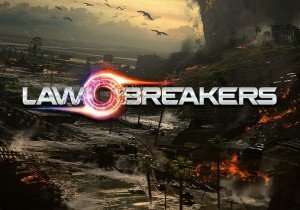 Over three years, they worked on a low-gravity arena class-based shooter, named LawBreakers. At first, it was partnered with Nexon, but in 2018 the company wrote it off as a total loss, blamed it for much of their expenditures that year, and also stated that one of the issues was that it went up against PlayerUnknown’s Battlegrounds. PUBG was indeed an overnight success and obliterated every other game that was coming out at the time. Only one Battle Royale game has really been able to stand toe-to-toe with it, and that’s Fortnite. It’s definitely unfortunate to see a studio go under. Several of their employees had already been moving on to other ventures, and of course, we wish them the best in wherever they go from here. However, I feel like one of the major problems was not necessarily LawBreakers. I enjoyed it at first, but one of the major problems was selling it as a retail title. This is a game that should have gone much better if they started it out as a F2P and gone all-in with cosmetics. The visuals of LawBreakers were quite appealing to me, but this was also a time when FPS games were over-saturating the market (which is basically all of the time) and it takes a lot of work to make them stand out. That, coupled with the launch of PUBG, at least if LawBreakers had been F2P, people would have been more keen to at least try it. Then there was Radical Heights, which is a Battle Royale game. At this point in time, when Radical Heights was launched, every games studio had a Battle Royale game. Hirez is working on one, Battlerite is making one, Call of Duty is ditching its story mode for one, Trove is making one. TROVE is making one! I love Trove, but even the Voxel-MMORPG is making one. I sincerely think that if they had jumped on the bandwagon as soon as PUBG defeated them, it could have been huge. They would have beat Epic’s Fortnite to the punch, and let’s face it, Fortnite Battle Royale is making absolute boatloads of money. I’m not big on Battle Royales personally, but I understand trends. Everyone is hoping that their version will bring that unique something to the genre that will duplicate Fortnite and PUBG’s success. Everyone wants to get that Battle Royale money before the trend dies, and that’s where my problem is. Boss Key Studios could have got on the trend before anyone else, but did not. CliffyB’s major weakness is in trend-chasing. He wound up chasing both the FPS and BR genre but releasing when it was far too late, and the market was saturated with them. Now, if I want to play a Warcraft 3 Battle Royale game, or a Card Game Battle Royale, I’m willing to bet money I could find one. I admire his effort, but the downside is that he was not chasing the trends he wanted to create games in fast enough. Radical Heights was too little far too late. I loved the idea of LawBreakers, and the anti-gravity feel of the combat felt fresh and new somehow. But there were so many flaws and the least of which is the price point. We played it at their studio and it felt amazing. When we got it home to play, it felt far less optimized, clunky, a poor tutorial, and the maps, while gorgeous, were not well-balanced. We can only hope that when and if CliffyB returns, valuable lessons will be learned, and he’ll come back with something truly groundbreaking. Joycity has recently reveled that FreeStyle 2 will be entering open beta on June 10th, 2014.